The media has savaged President Donald Trump and First Lady Melania Trump for not respectively bowing or curtsying to Queen Elizabeth. Unsurprising media consensus: they've embarrassed us! Not so fast with the (no doubt enjoyable) handwringing. I'd like to offer a corrective to all the hysteria. Hint: something relevant to this question happened in 1776. In 1981, when the Prince of Wales visited the U.S. then-Chief of Protocol Lenore Annenberg curtsied to him at the at the airport, rightly receiving a barrage of protest. First Lady Nancy Reagan then made the (correct, in many opinions) decision not to curtsey to the Queen during her visit that year for the wedding of Prince Charles and Lady Diana Spencer. Barrage of criticism followed. You just can't win. The Trumps, as you can imagine, got a lot of heat. The London Independent breathlessly reported that President Trump "immediately breaches royal protocol twice after meeting the Queen." The breaches were the non-bow and that the President appeared at one point to walk in front of the Queen. If that is the case, he did indeed make at least one faux pas. But it falls somewhere short of a major diplomatic incident. If the President extended his hand first, that is also a bit of a breach. The fashion magazine W upped it to three breaches, claiming that Trumps "unsurprisingly" broke three rules in rapid succession in their meeting with the Queen: they were a few minutes late in arriving, the President sat in Winston Churchill's chair (gasp), and of course there was that matter of the missing obeisance of a curtsy or bow. W at least put "rules" in quotation marks, thereby halfway acknowledging that none of these are actual rules.And the Trumps also cannot be held responsible for London traffic. Relax, former colonials, the President and First Lady did not embarrass us. All eyes were on the President and the First Lady as they first stepped out of their car to greet Her Majesty – and many royal-watchers were quick to notice that there was no curtsy from Melania, while Donald did briefly nod his head as he arrived at Windsor Castle. In fact, it's thought that there's no requirement for a First Lady to curtsy to The Queen – as visiting Heads of State are not included in the royal rule. Yes, it's that 1776 thing. And kudos to Harper's Bazaar for being more honest than many anti-Trump media outlets. 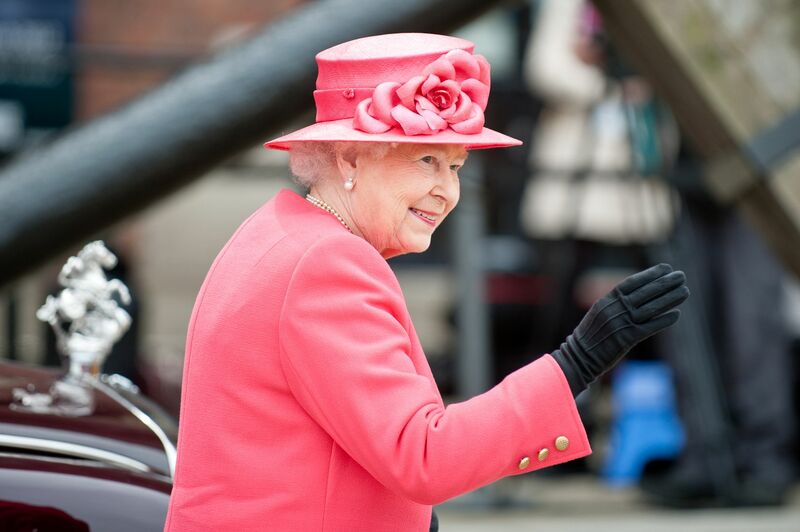 Queen Elizabeth is one of the great women of our day. But we are not her subjects and I (for one) would be more disturbed if our President had bowed to her. If (and I say if: the media has not covered itself in glory by reporting accurately) anyone embarrassed himself, it was not the President.